Welcome Again to my Blog.Today, In this post I am going to show you how you can get Email-Id, Username, Password or any other type of secret details using simple social engineering toolkit available in kali linux. 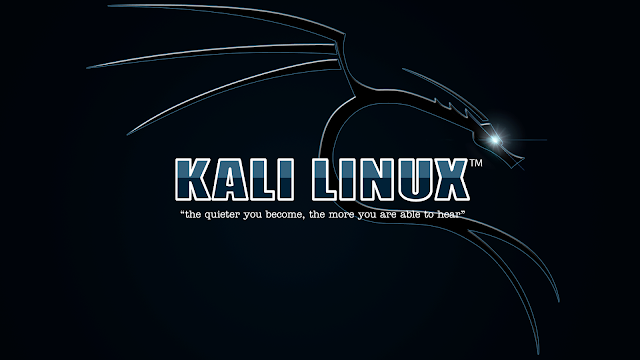 (Pre-Installed In kali linux). 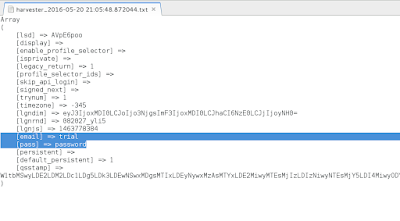 Basically, In Social Engineering Attacker use his/her social engineering skill and tools to create a fake Copy of any Web Application Or Environment. So, that Our Victim will never hasitage to reveal its secrets in our fake Environment. For Example: If we want to find Facebook User name and Password of our victim. we have to clone Original Facebook Login Homepage Then We have to host that fake Page Over Internet. After This Step, We Need To Invite Our Victim To use its Real Credential in Our Fake Environment. 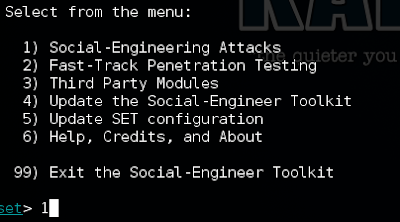 So First We need to Start Social Engineering Toolkit Interface In kali linux Terminal. Open Your Terminal Using Ctrl+Alt+T or Click on the small black window image on the top left of your screen. Simple! Once terminal is open, Type Below Provide code carefully. And Note Down Your IP Address. Why? Because Its Your Machine IP Address because for this trial here we are going to create a fake situation where our system is going to play role of both, Attacker And Its Server Also. So, We need our IP address To Invite Victim User. Now, Next Step is to Open Social Engineering toolkit. 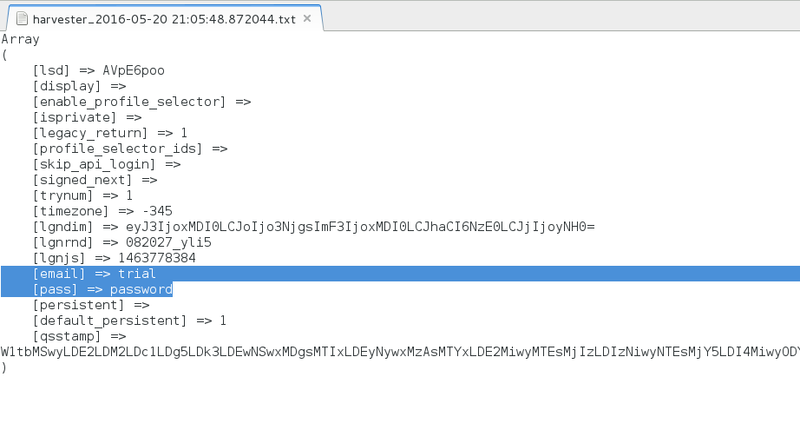 so press " 3" and hit enter as it will select credential harvester attack method. 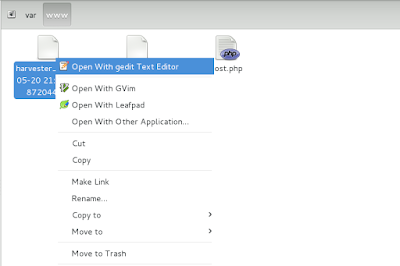 This will open new menu as shown below in the image. Since,we want the username and password which is credential of victim, so as we already know we need to trap the victim in our fake page that will try to mimic original website page (like phishing page) and for that we need to clone a website. Hence, we need to provide target website URL. To do this, press "2" and hit enter which will open something like shown below. In above image, you might have noticed a green color rectangle box made by me,in that box,you will find "tabnabbing: Your IP Address" where this is you computer IP address. Please note that, if you don't put your computer IP address, this method won't going to work. After entering your IP address, hit enter. 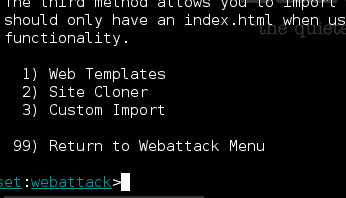 Then It will ask your to enter the Url of website you want to clone as shown below. Then Victim will think that it is a original page and when the victim will enter any of their information, you will see that information in the /var/www/harvester as screensht given below. 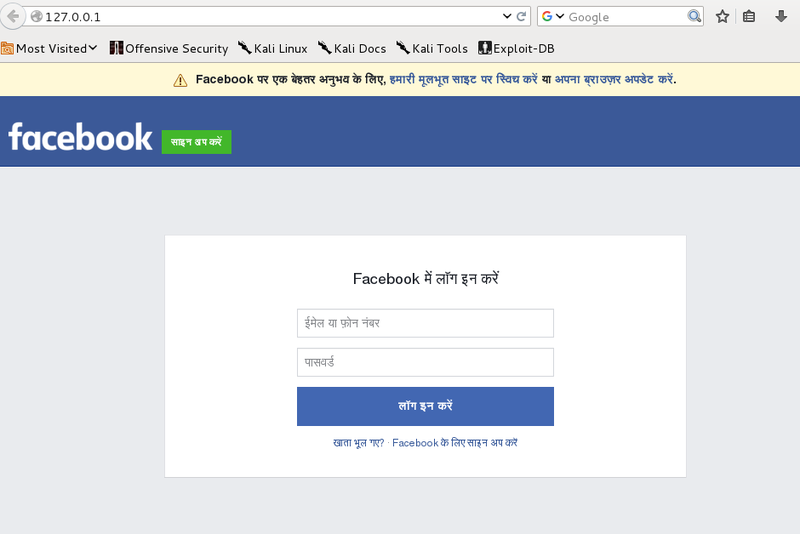 In this example,i have used facebook.com.Therefore,the victim will see homepage of facebook. will be having your IP address.For best results,send the shortened url to victimmobile and ask them to visit urgently,or you can say visit this link and login to getlatest updates of their favourite contents,etc.